I know I’ve been out a while, but here I am. Where to begin? Let’s talk about tattoos. I received mine two weeks ago (finally). 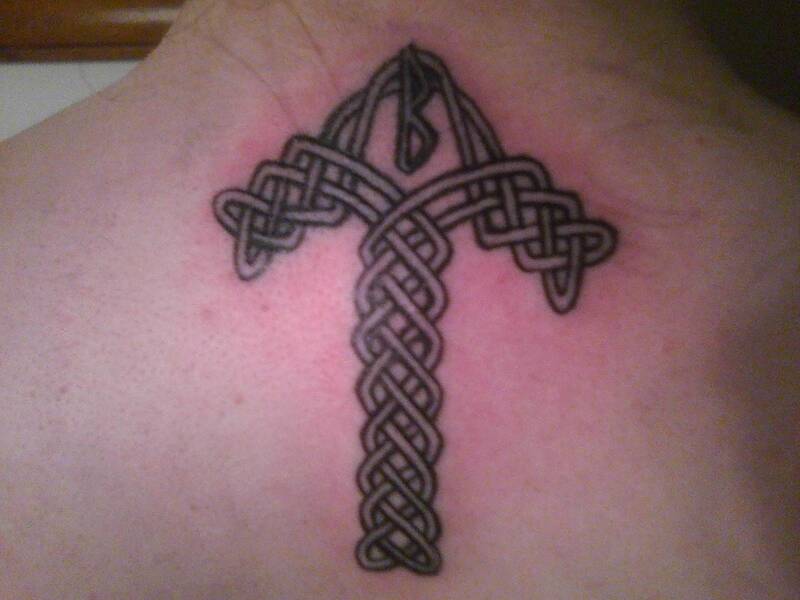 This tattoo consists of the runes Tiwaz and Berkana. Tiwaz is the rune of Tyr, god of heroes and self-sacrifice. It’s the rune of the warrior spirit: honor, courage, righteousness, integrity, and tempering pride with humility. Berkana is the rune of the birch tree and represents growth and renewal. Birch trees were one of the first to grow after the ice age, so Berkana also represents the ability to survive hard times and thrive after. I’ve always had a deep connection to these two runes and now I literally carry them with me every day. The process wasn’t too painful, just a few spots near the top. I spent the two hours contemplating and connecting. This was my ordeal, as Odin’s was hanging from the World Tree (more on this later). This is the first, but certainly not the last tattoo that will grace this skin. There are many more already planned, and we’ll talk about them when they come. When thinking of Tyr we often over look the traditions of the left-hand path and its implications. Tyr was a war god his sword hand defined his authority and power. This is the essence of his personal self sacrifice. He chose this new path when he placed his hand in the wolfs mouth. This wolf is not just any wolf, it is the son of Loki. All of Loki’s children have occult significance, like an onion skin there are layers of meaning embedded into the symbolism.